Splash Screen covers the entire screen when the conference is opened. 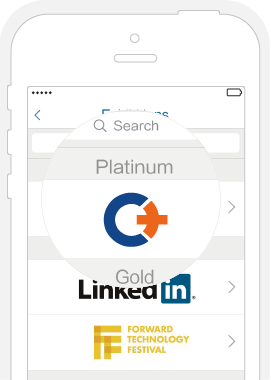 It allows sponsor to upload dynamic images that can link to information about the company, either within the app or their website. Splash screen puts sponsors brand front and center, making your name and brand stronger first impression in front of all attendees. Main page banner displays your logo in a banner in the app main page. Attendees can tap on the banner to see sponsor’s landing page in the app or on the web. An effective banner can drive traffic to your booth or website, and boost sales with a special coupon, gain more fans with a funny video, and more interactive ways. 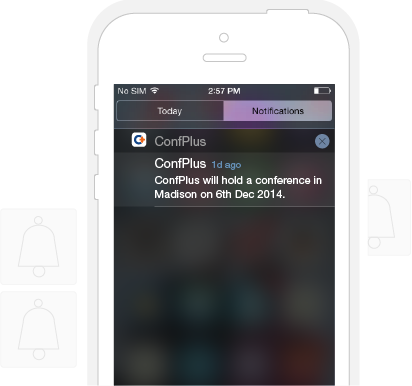 ConfPlus app lets you create alerts, updates or other custom messages you can send to attendees anytime, anywhere. This is sponsor’s chance to entice attendees with a “call to action” or make any last-minute changes. The time-sensitive push notifications are great opportunities to generate revenue. Highlighted exhibitor listing makes sponsors brand more visible. It stands out in a long list of exhibitors and receive more attentions. The sponsors receive more connections with attendees they are likely to form. ConfPlus enriches sponsors experience by providing customizable landing page to understand the needs and desires of prospective customers. The landing page could allow sponsors to design and promote their own survey, collect valuable customer data, or for other needs. 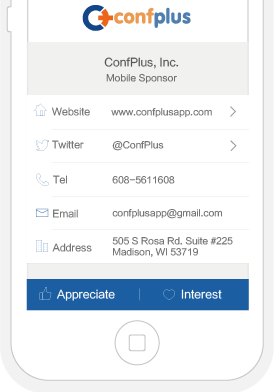 ConfPlus offers sponsors a real-time attendee behavioral data analytics for recording attendee interaction with in-app sponsor advertisement. 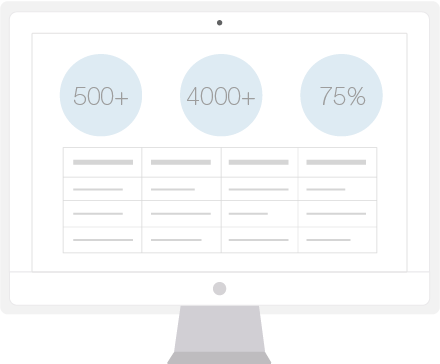 The implicit click-through report measures the result of sponsorship strategies. Real-time explicit data gives sponsors valuable insight of event app promotion onsite and gather profile information after user’s authorization.